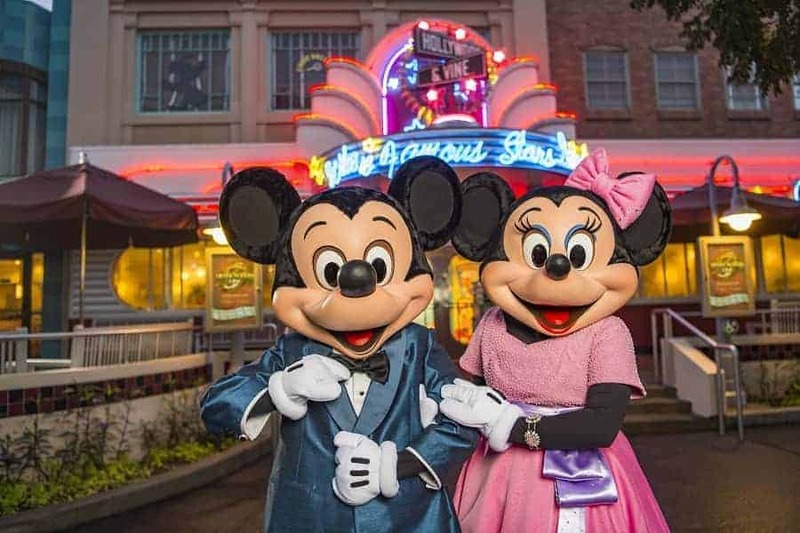 If you are looking for a great way to meet characters at Hollywood Studios and also get a great meal, check out Minnie’s Seasonal Dine at Hollywood & Vine. Through out the year, Hollywood & Vine has dinner buffets that feature Minnie, Mickey, Donald, Daisy and Goofy. Minnie’s Seasonal Dine at Hollywood & Vine is a full buffet dining experience with plenty of options for all types of eaters. Because the buffet is seasonal, the menu options changes depending on the time of year. You can expect to find a salad bar, carving stations & fish selection along with various vegetable selections and a full dessert buffet. We have visited during Minnie’s Silver Screen Dine and found such selections as. bacon-wrapped pork tenderloin, salmon, honey glazed carrots, sweet potato casserole, and roasted brussels sprouts. Those travelling with picky eaters (aka kids) can feel good about bringing them to Minnie’s Seasonal Dine because there is a kid buffet as well. There, kids will delight in finding child-friendly dishes like macaroni & cheese and chicken nuggets. There are also healthy selections for kids too, like roasted chicken, pasta and baby carrots. The best part of dinner at Hollywood & Vine is the dessert buffet. You will find a vast selection of sweet treats along with a self serve chocolate fountain & various items to cover in chocolate! What sets this buffet experience apart from many is the Minnie’s Seasonal Dine at Hollywood & Vine meet & greet experience. 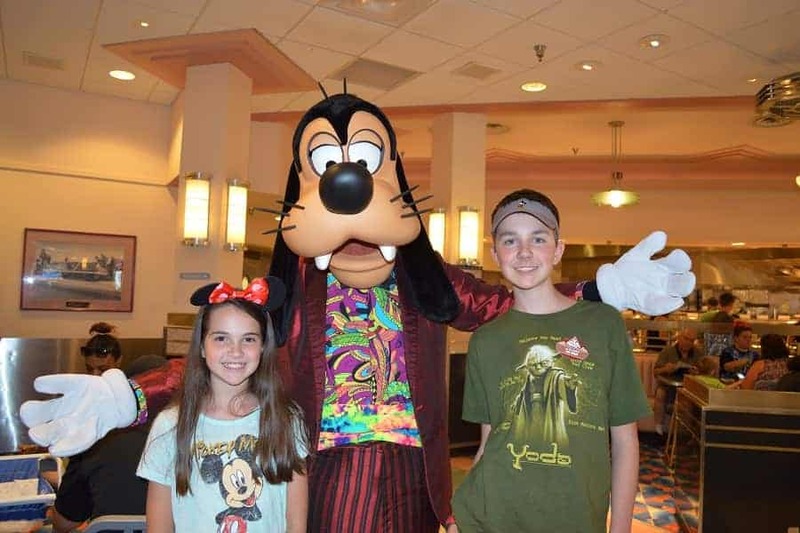 Like other Disney character meals, the characters will come to you (with the exception of Mickey who you will take a picture with when you arrive). At Hollywood & Vine for dinner, you will meet Minnie, Mickey, Donald, Daisy & Goofy dressed in themed outfits. We were there for the Silver Screen Dine so they were in their Hollywood Outfits. If you are interested in getting a VIP seat at Fantasmic!, Hollywood Studios offers and dining package that includes a meal at Hollywood & Vine along with VIP seating. Those coming to the Hollywood & Vine Character breakfast & lunch will enjoy dining with Disney Junior favorites like Doc McStuffins, Sofia the First, and Vampirina. The breakfast buffet features favorites such as Mickey waffles, frittatas, pastries and fresh fruit, while the lunch menu includes entrees such as baked chicken, deli meats, hearty pastas and fresh salads. Have you tried the Hollywood & Vine Character Meal?